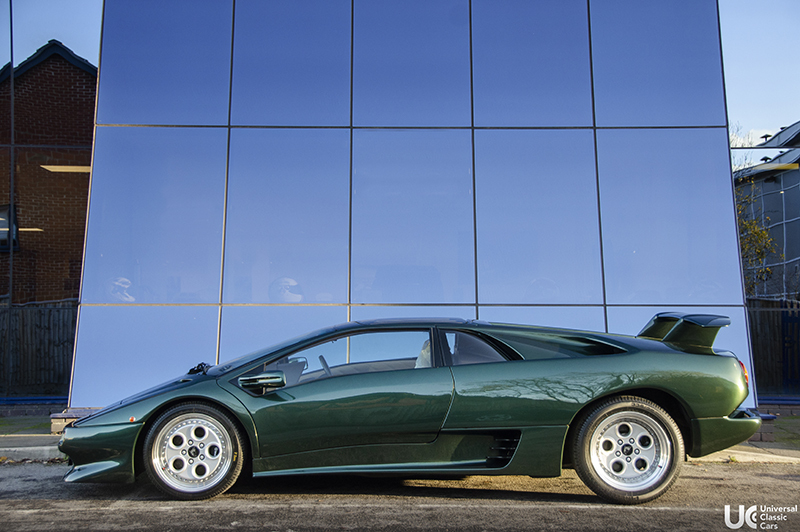 The Lamborghini Diablo (meaning ‘Devil’ in Spanish) was introduced as Lamborghini’s new flagship in 1990 to replace their outgoing Countach. 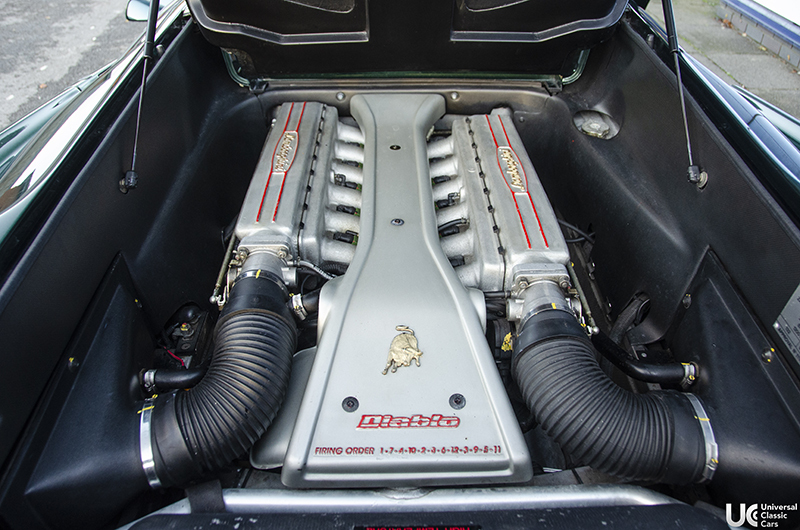 It used a 5.7L mid-mounted V12, with 4 valves-per-cylinder, dual overhead cams and fuel injection, which produced 485bhp and was Lamborghini’s first car to exceed the celebrated top speed of 200mph. 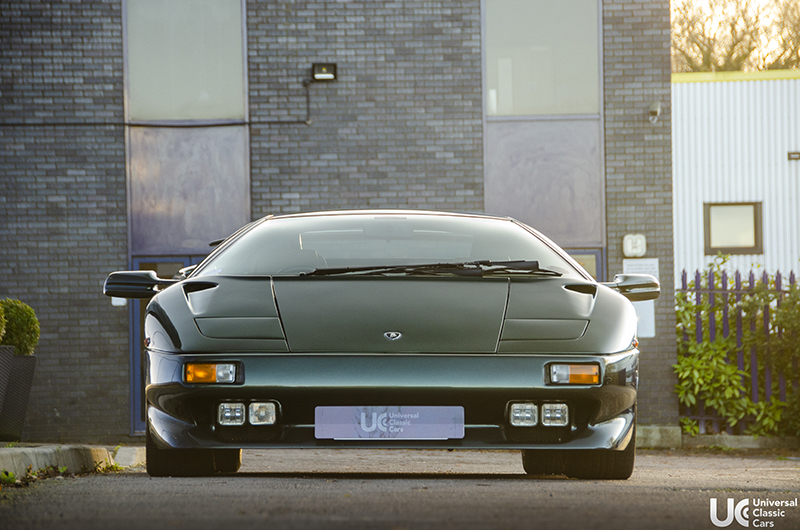 The Diablo VT was launched in 1993, with ‘VT’ standing for ‘Viscous Traction’, thus making it the first Diablo with all wheel drive, with up to a quarter of the torque directed to the front wheels. Along with a 5spd manual transmission, enhancements included new front air intake for better brake cooling, a revised interior, four-piston brake calipers, power steering and engine refinements. 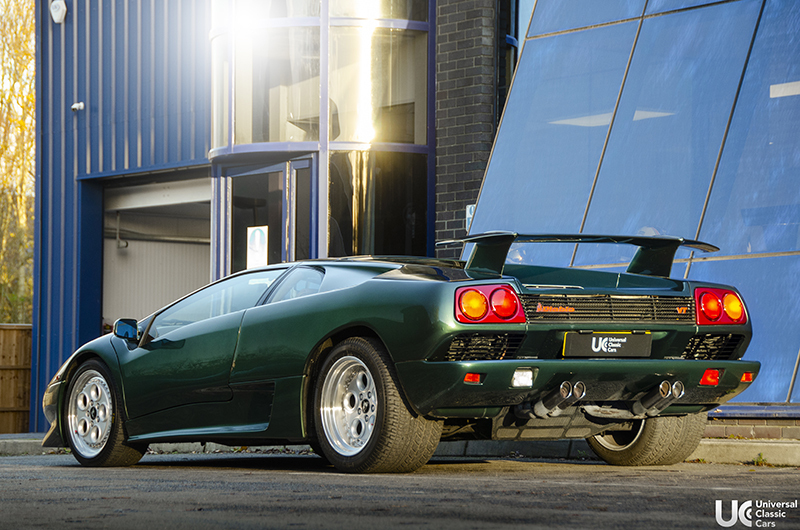 The first notable aspect of this RHD Diablo VT is its stunning and very rare colour, being finished in dark green metallic with beautifully contrasting tan interior and brown carpeting. The car has undergone just 16,368km in its existence and has been very well loved whilst in our care. 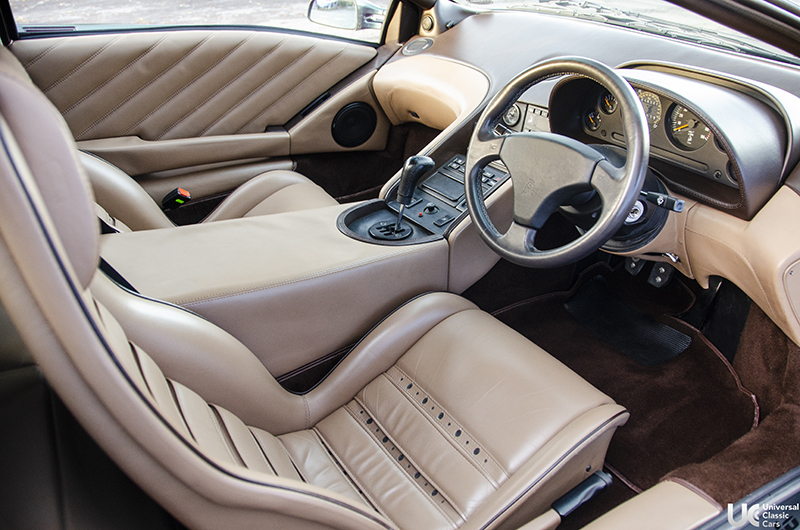 Featuring the original Alpine sound system and suspension adjustment controls. All four wheels have recently undergone a refurbishment and the car drives excellently. No advisories during a recent condition report, with the gearbox, engine, brakes, suspension and cooling system operating perfectly. 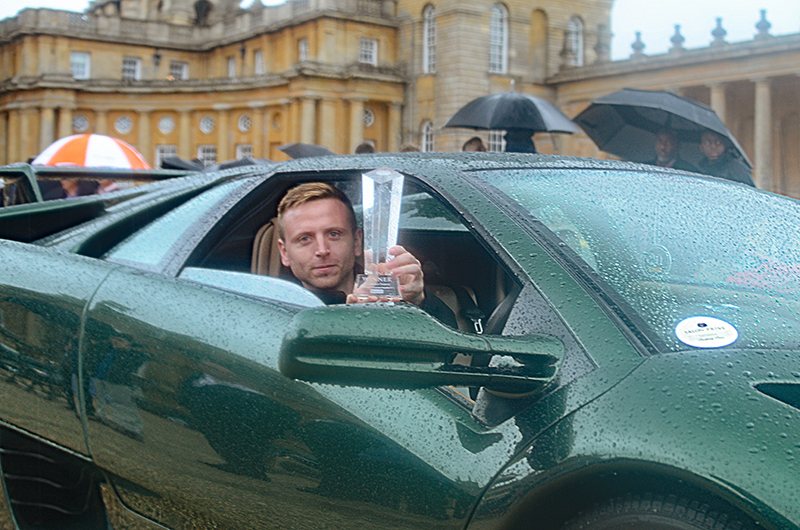 The car had the privilege of rightly earning the 1st place trophy in the Diablo tribute at the 2016 Salon Prive Concours d’Elegance and has proven to be a huge crowd pleaser at its every outing. 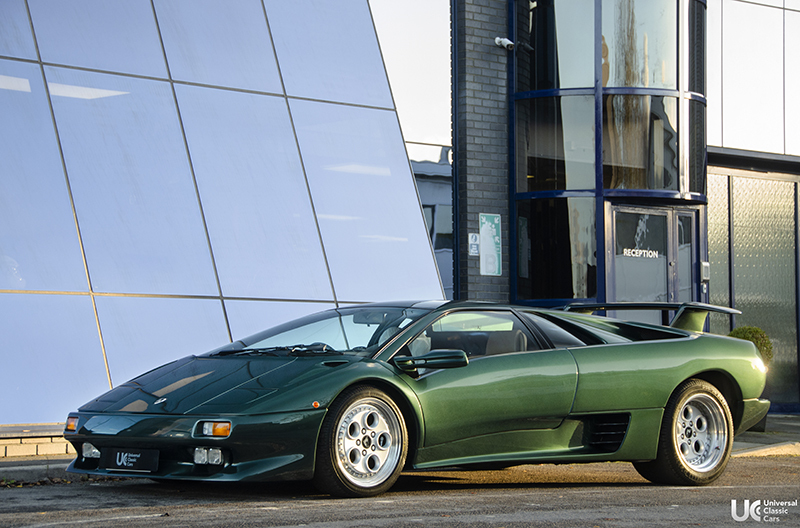 A very striking specification, with dark green rapidly becoming an extremely sought-after colour on exotics due to its elegant appearance, especially alongside its stunningly complementary interior theme.